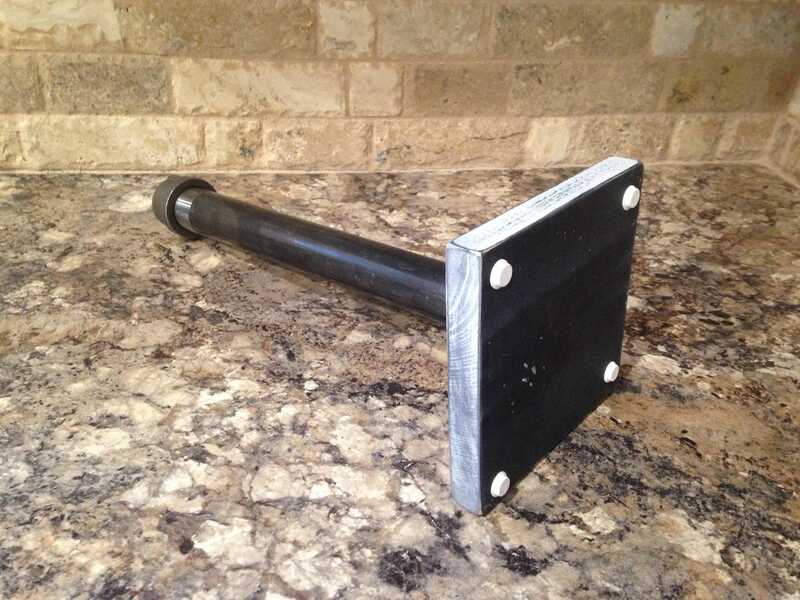 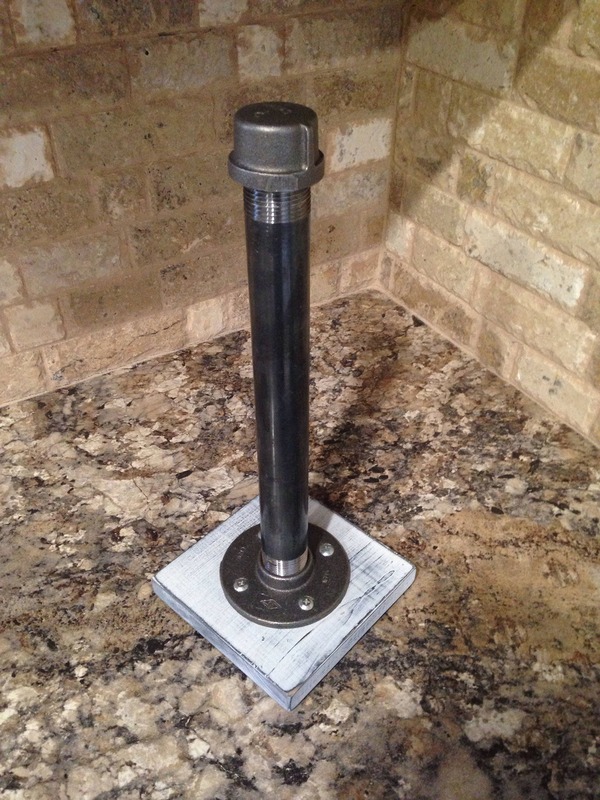 This industrial, black pipe, paper towel holder measures 5.5”x 5.5” at the base and is 14” tall. 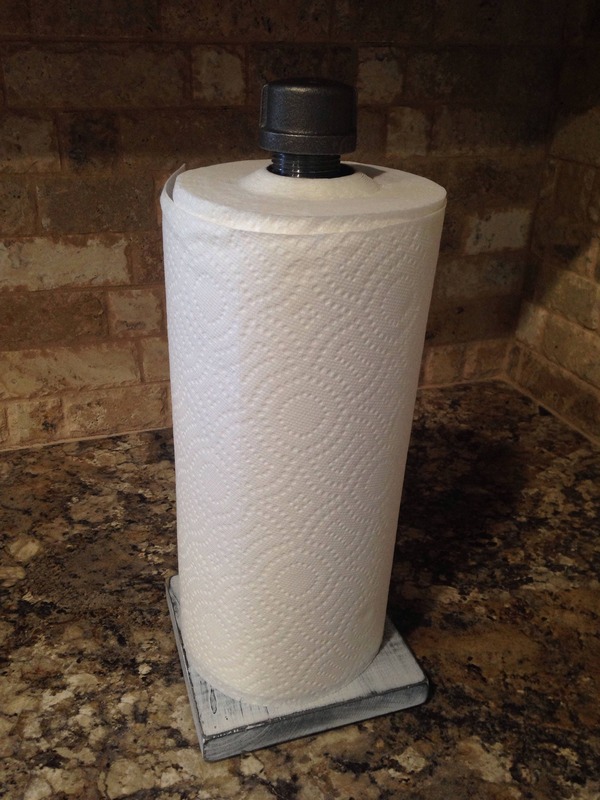 Distressed, whitewash base. 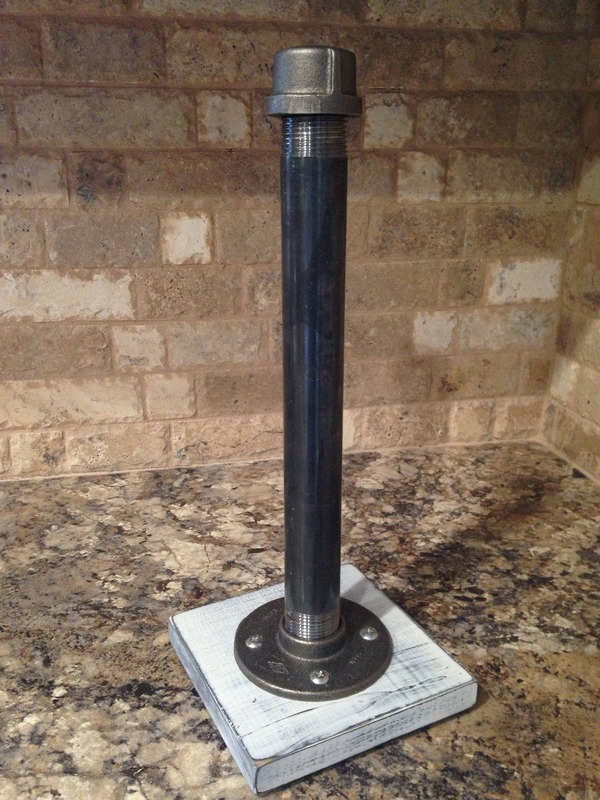 Please note that each item is handmade and will have slight variations. 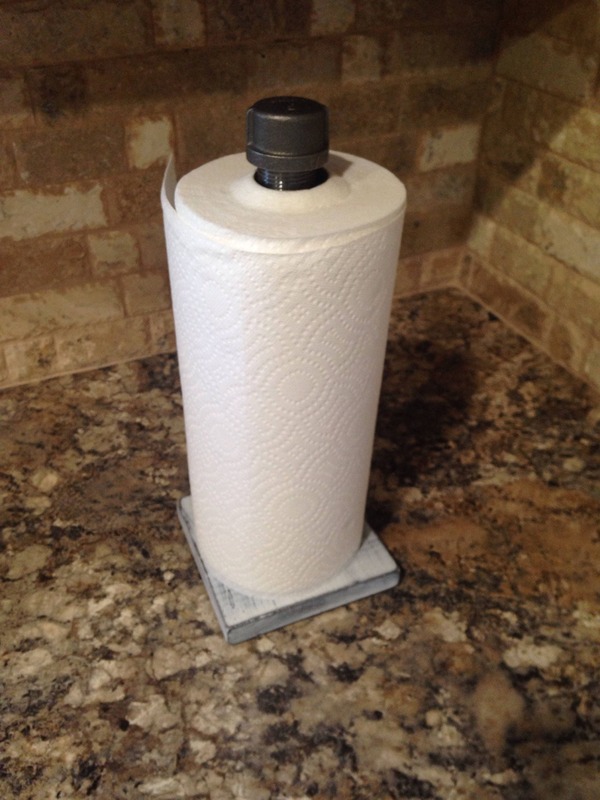 To keep the paper towel holder from sliding around your counter and to protect it from water damage, each paper towel holder has four bumpers on the bottom.